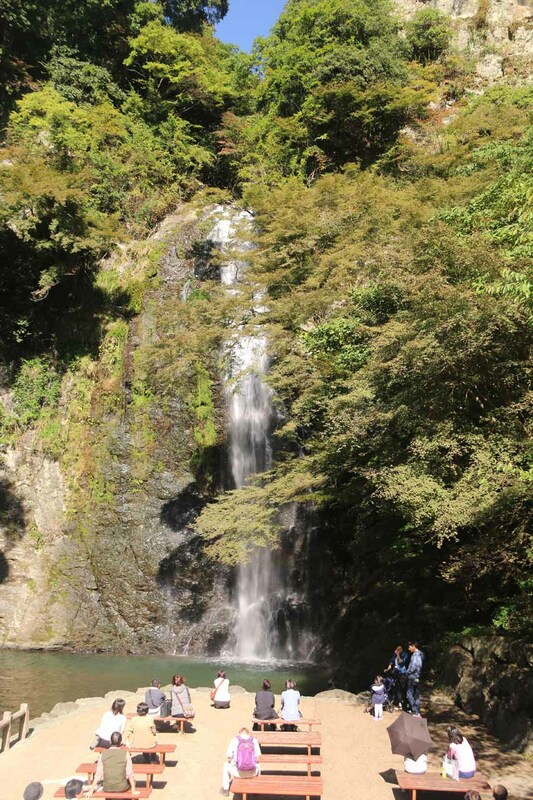 The Minoh Waterfall (Minoo-taki [箕面滝]; also called Minoh Falls or Minoo Falls as well as Mino-o Falls) was a waterfall that I anticipated visiting ever since a website visitor made a very well-written submission about it a few years ago. This was especially the case because it was near Osaka so there was definitely public transportation options to get here (though we wound up self driving here). Thus, this was quite a popular waterfall, and there was certainly the infrastructure to support a lot of visitors. 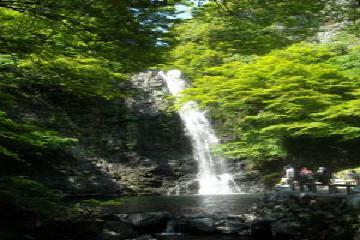 The popularity of the waterfall was well-earned as it was said to be 33m tall and 5m wide. We happened to catch it on a sunny day at a time when a rainbow was present at its base. 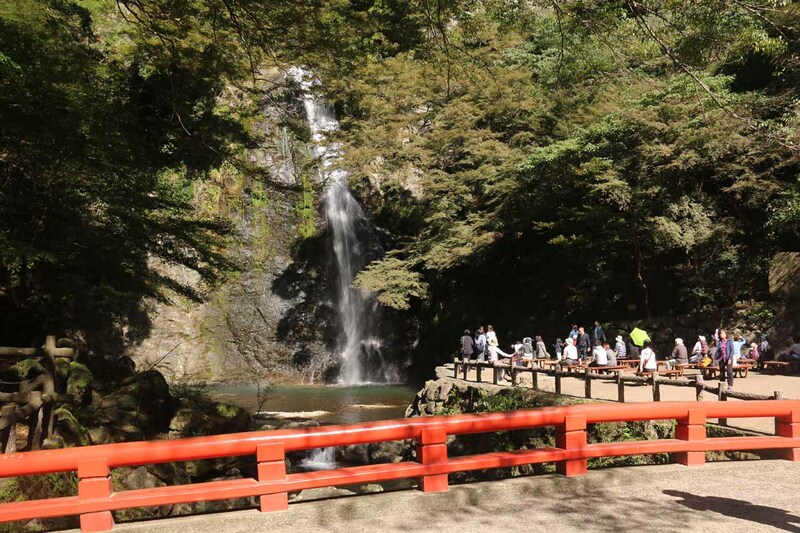 Perhaps the only thing keeping this waterfall experience from being really special was that we were probably a few weeks too early for the peak of the koyo (or Autumn colors) as our visit took place in late October. 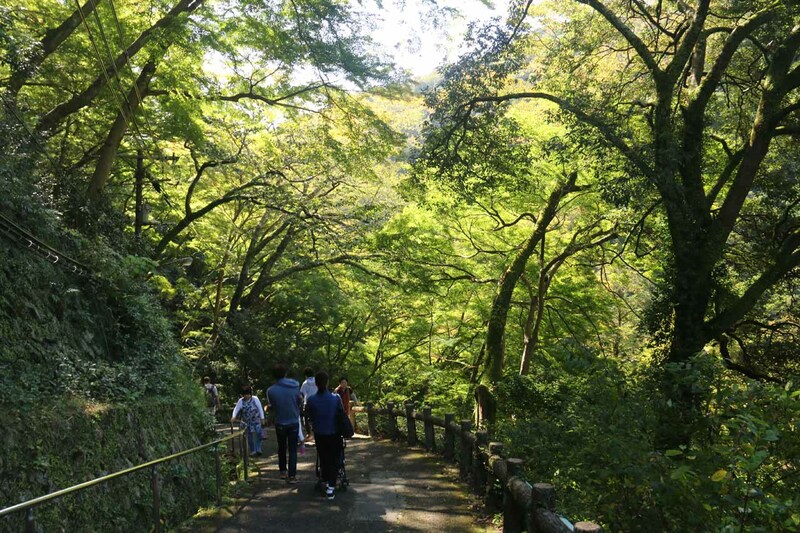 Nevertheless, we had a pleasant experience, and I can definitely see myself coming back here on a return trip, especially since this was a family-friendly hike (more like a stroll) so I can easily envision bringing our daughter here if we’re fortunate to be back in the Osaka area. 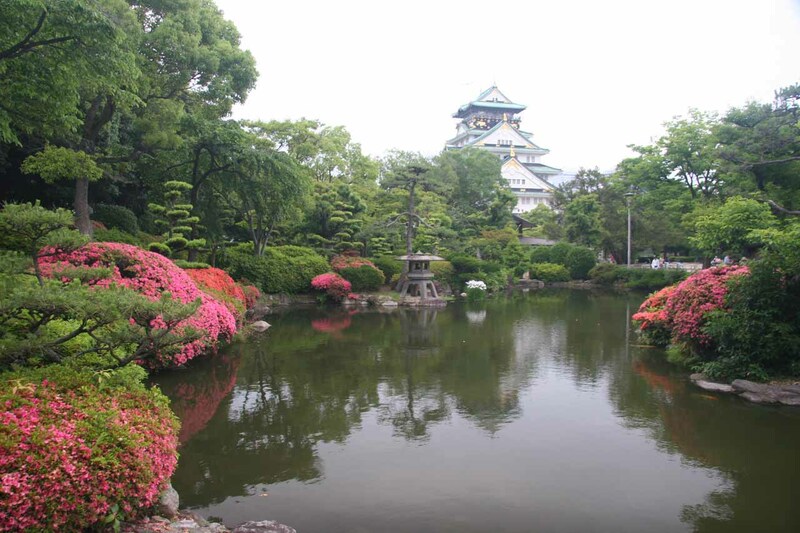 The Minoh Waterfall was said to be documented as far back as the Asuka Era from 592-710 AD. 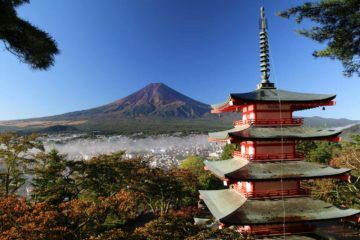 Apparently in the historical records, En-No-Gyoja (who founded Shugendou, which was an ancient practice of Japanese meditation and worshipping in the mountains for attaining enlightenment) had been a frequent meditator at the falls since he was age 19. 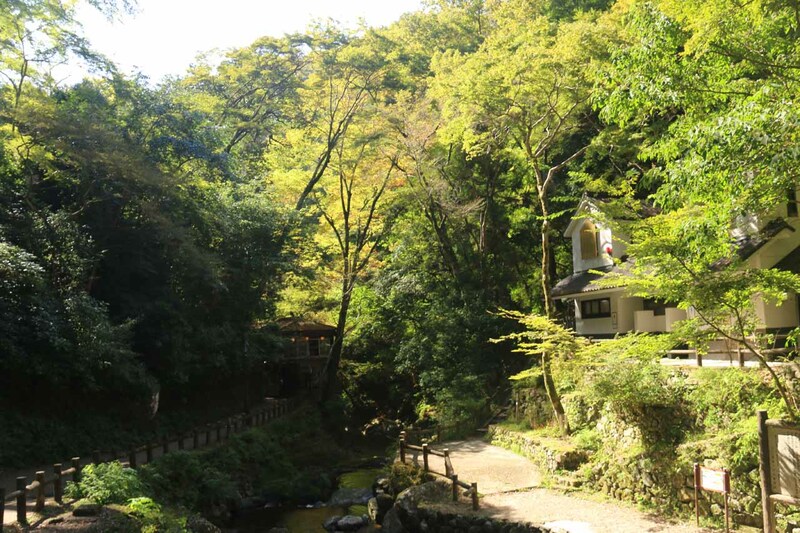 He apparently built the neighboring temples like the Ryuanji (downstream of the Minoh Falls) and Saikouji (upstream of the Minoh Falls) as venues for his Shugendou. 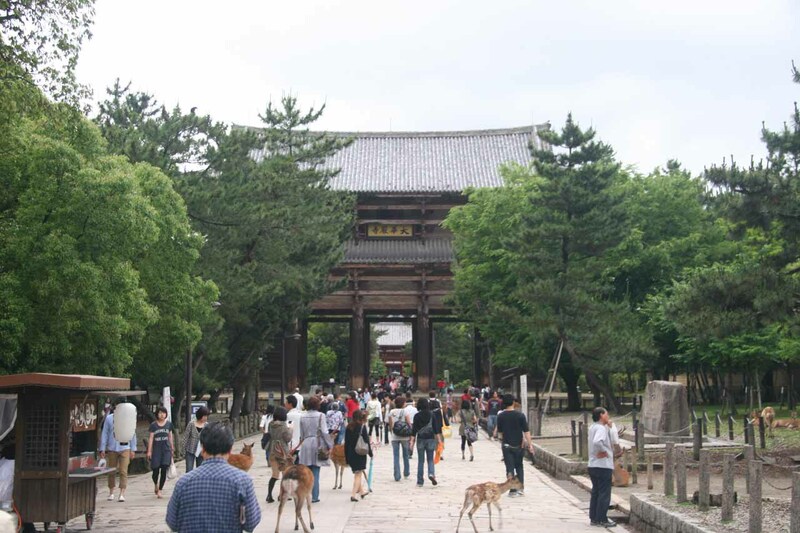 We didn’t get a chance to visit neither of these temples upon our visit here, but in a future visit, we’d definitely take the time to check them out, especially if making our visit by mass transit. 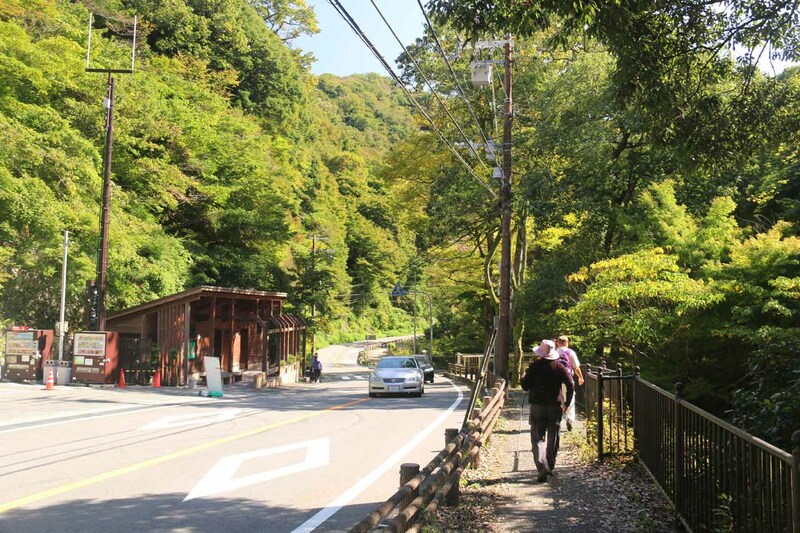 Anyways, our visit began from a car park further upstream from the Minoh Waterfall along the Route 43 within the mountains just north of Minoh City (see directions below). 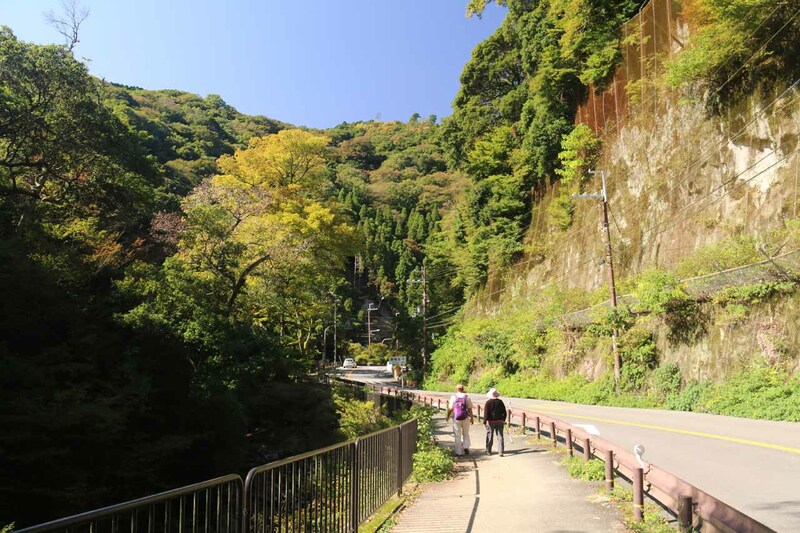 We then walked back in the downstream direction (more downhill) along the Route 43, which skirted the Minoh River or (Minogawa). 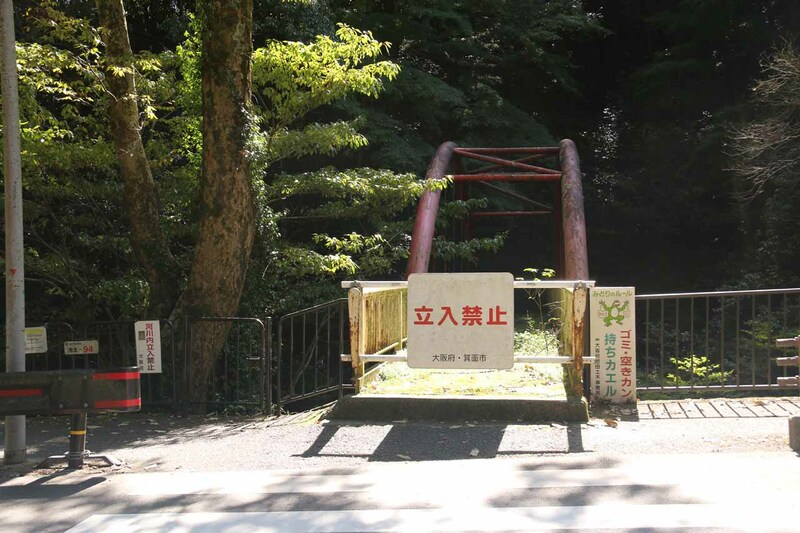 There appeared to be a closed off trail on the other side of the river, and I suspected that it might have been damaged from flood or landslides in the past. 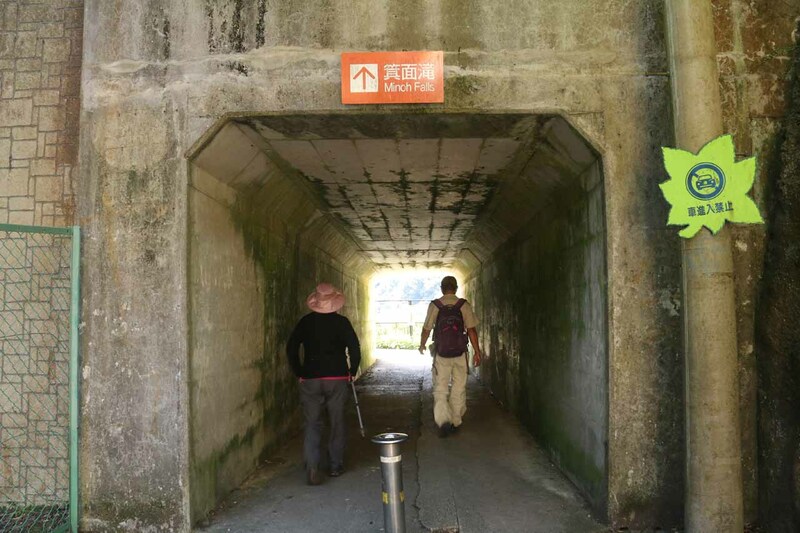 In any case, we continued walking along the road as it curved towards the south and passed by a short road tunnel before reaching a descending paved ramp some 300m from the nearest car park. 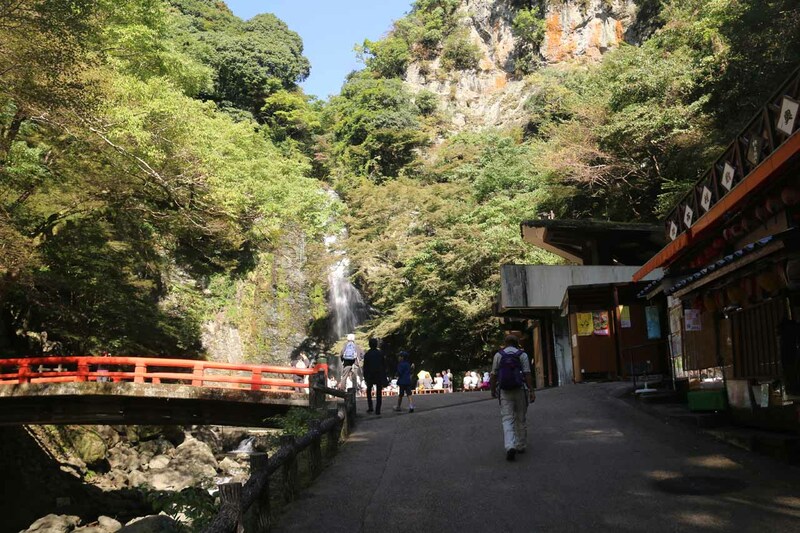 Between the tunnel and the descending ramp, we managed to get a partial glimpse of the Minoh Waterfall but it left us wanting more so we hastened our steps down the ramp to reach its base. 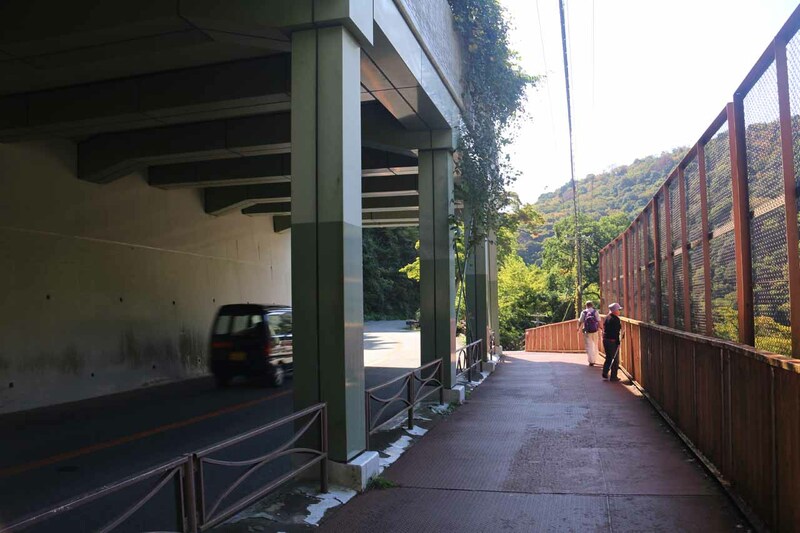 Towards the bottom of the descent, there was a “shortcut” bypassing the last switchback that went down some steps and eventually rejoining the wider paved path alongside the Minogawa. Had we continued along the final switchback, the path would have gone further downstream before following the river back up to where the “shortcut” ended. 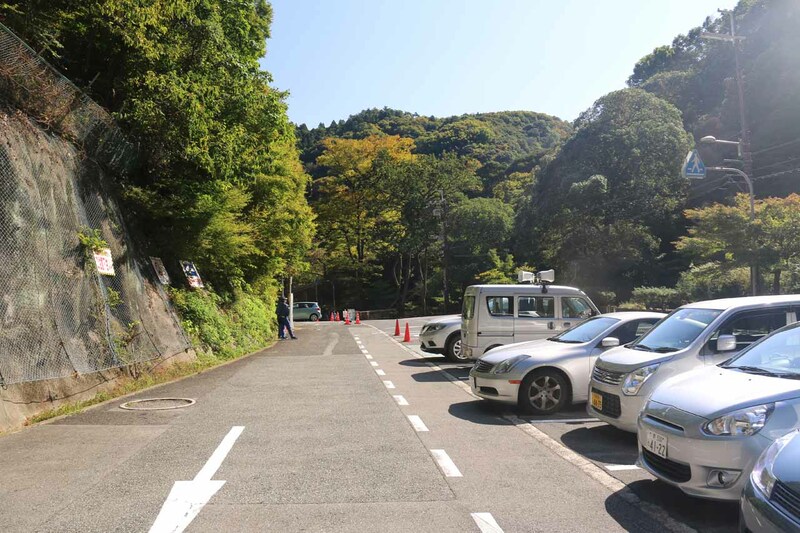 The reason why that last switchback would be a sensible option for some visitors was that there were lots of families involving people pushing strollers carrying toddlers as well as wheelchairs for those needing assistance. 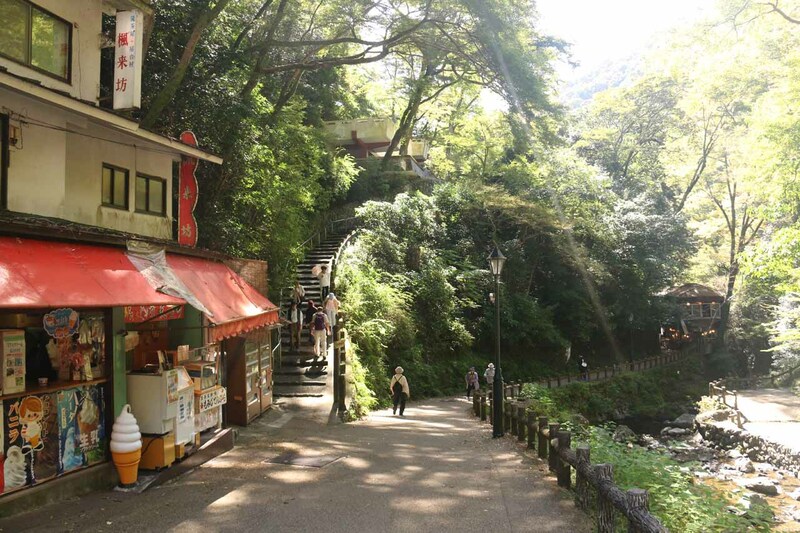 Just another 150m or so further upstream (passing by some shops and cafes), we found ourselves before the impressive Minoh Waterfall. 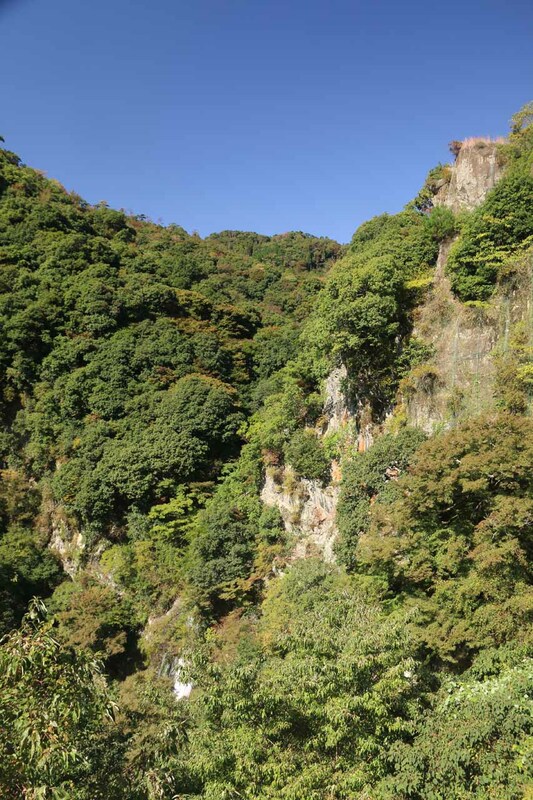 We managed to get decent views from a red-railed bridge over the Minogawa as well as a viewing area closer to the base of the falls where lots of benches were arranged as if the falls was the pulpit to a cathedral. The view of the uppermost part of the falls seemed like it was partially blocked by foliage so we were never able to get a completely clean view. 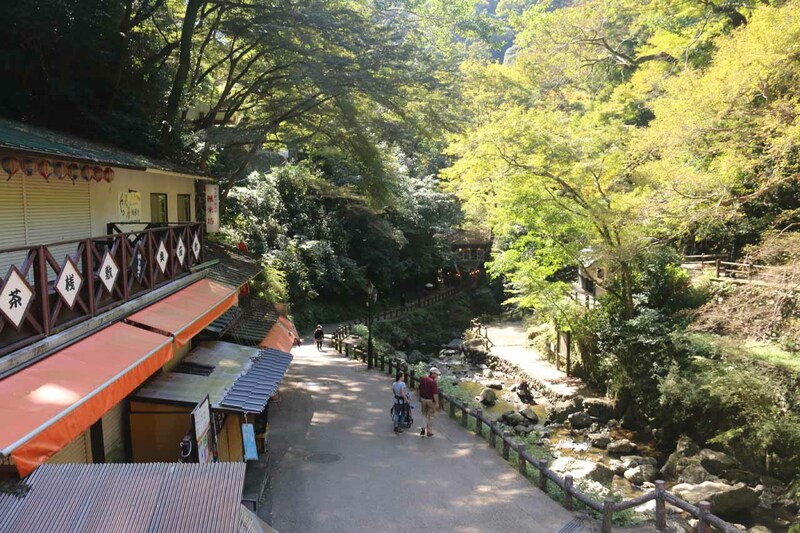 It appeared that the walking path continued further well downstream of the falls on the other side of the Minogawa, which appeared to go past some more shops and cafes. In fact, I wondered if that was the trail that would ultimately make it back to the Mino Station another 3km or so away. 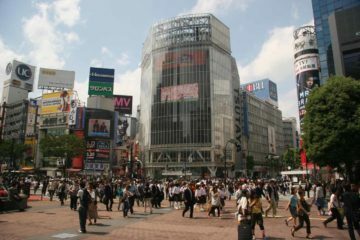 In any case, we wound up spending about an hour away from the car as the short walk was on the order of 1.6km round trip. Clearly, the walking would be substantially longer had we taken the more atmospheric public transportion option. While we didn’t see any during our visit, apparently the Minoh Falls can be visited by local monkeys. 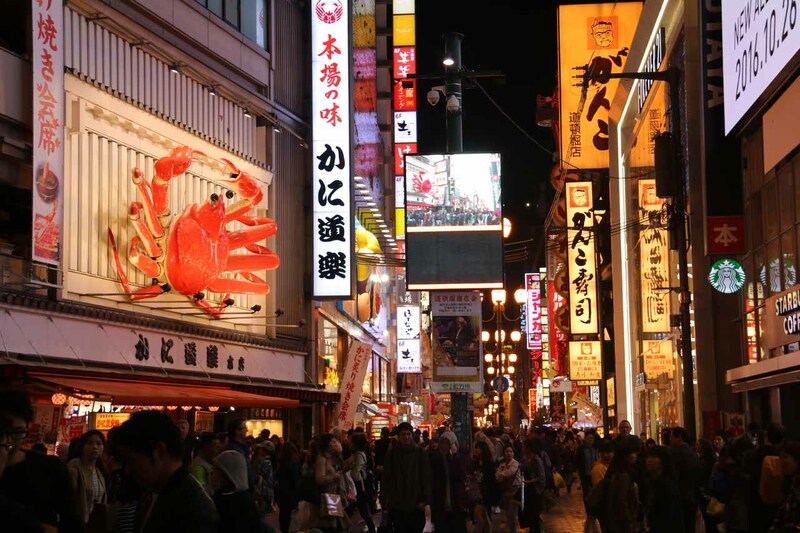 For being so close to a major metropolitan city in Osaka, I’d imagine that they have also become acclimated to humans so perhaps they might be a bit on the demanding (or aggressive) side should an encounter occur, especially once they’ve had a taste of high energy human food. 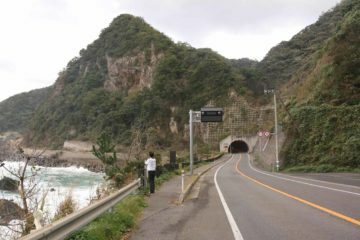 Since we drove to the Minoh Waterfall from an expressway within the Osaka City Limits, we’ll pick up the driving directions from the city. Even as I wrote these directions, I was fully aware of the public transportation option. However, we can’t get into the details of what we would do had we taken the train since we didn’t do it so we’ll only focus on the self-driving aspect in this description. 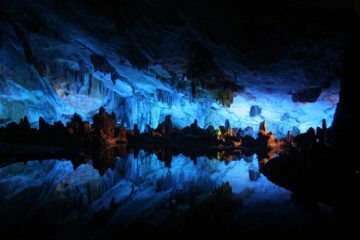 I think on a return trip here, I’d definitely consider taking the mass transit, and only then can I supplement the directions with the mass transit option. 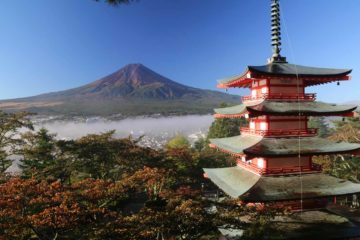 That said, Dillan from Melbourne, Australia’s submission talked about this public transport option as well as his impressions of the experience at the Minoh Falls. Heading east on the Chugoku Expressway as we were approaching the Osaka Itami International Airport, we got off at the Chugoku-Ikeda IC exit and stayed on the left lane (the surface streets at this exit had a lot of congestion) so we could make a left turn at the very first left to get onto the Route 171. We then followed the Route 171 for about 4km before turning left onto Route 43 towards Minoh. 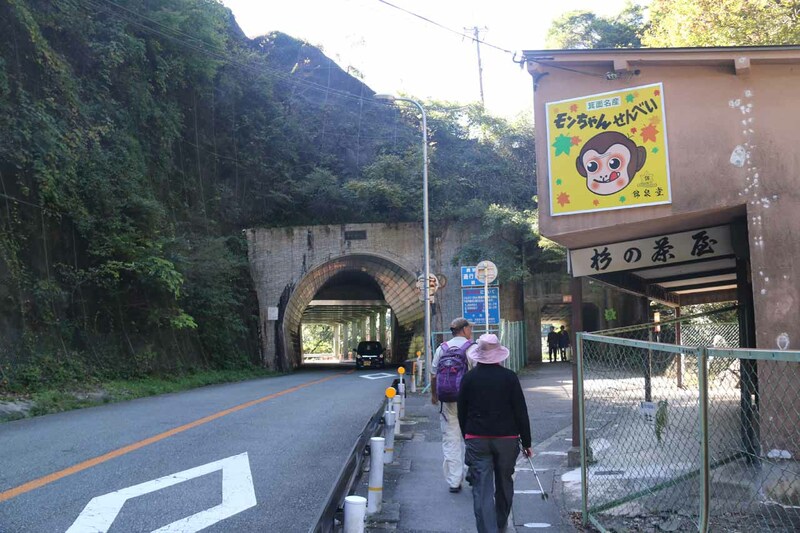 Then, we followed the signs for Minoh Park, which had us continue on the Route 43 for about 6km to the car park for the Minoh Falls on our right (it was roughly 300m past the tunnel). 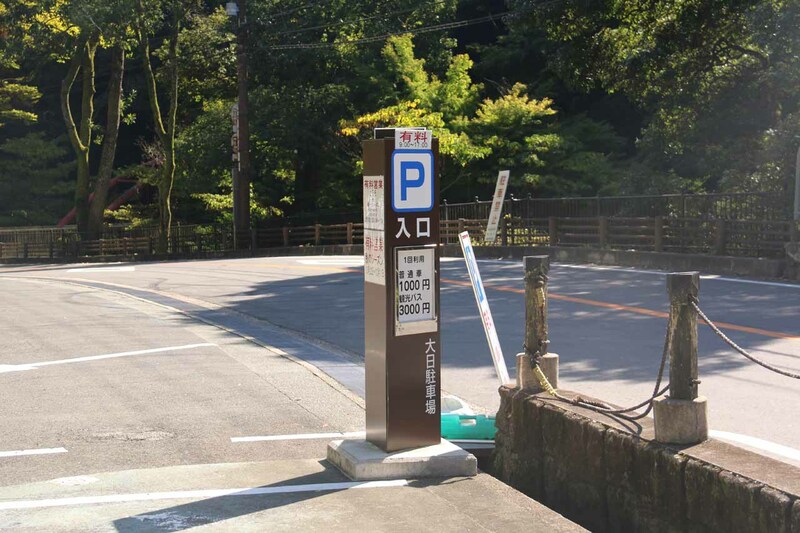 When we showed up, we had to pay a pretty hefty 1000 yen to park here, and I guess it made sense why we noticed some locals in the know found pullouts further down the narrow Route 43 to avoid paying this fee. Overall, from the moment we left the expressway, this drive took us around 45 minutes, including all the traffic lights and congestion. It doesn’t include the time spent driving the expressways to get to this part of Northern Osaka in the first place. Heading west on the Chugoku Expressway as we were approaching the Osaka Itami International Airport, we got off at the Chugoku-Toyonaka IC exit and drove about 500-600m west (staying on the right lane) to the intersection with Route 176. We’d then turn right onto Route 176 and follow it for about 750m to its intersection with the Route 171 then turn right to continue on the Route 171 then Route 43 as described above. To give you a sense of geography, the Osaka Itami International Airport was about 15km north of the Osaka Station deep in Osaka City, 44km east of Kobe via the Chugoku Expressway, 87km east of Himeji, and 174km (2.5 hours drive) from Tottori, which was where we had driven from. 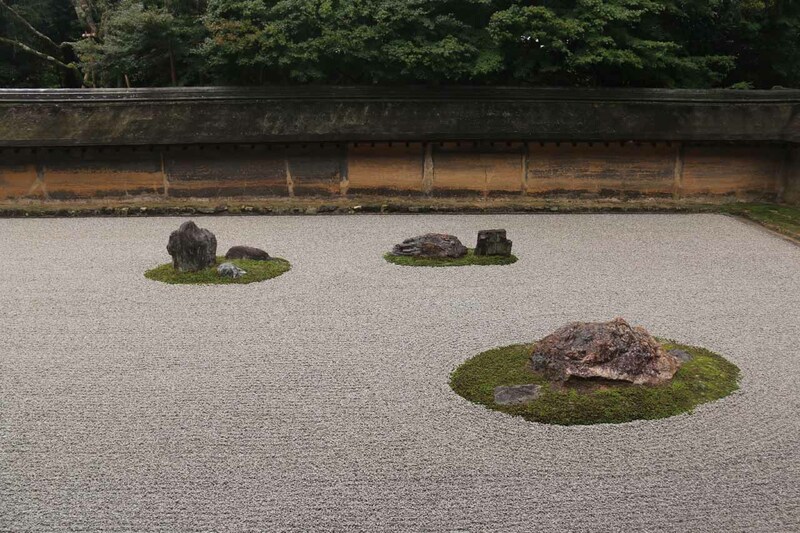 Coming from the other direction, the Itami Airport was 45km northwest of Nara via the Kinki and Chugoku Expressways, 47km west of Kyoto via the Meishin and Chugoku Expressways, 65km north of the Kansai International Airport, and 169km west of Nagoya (over 2 hours drive).